(Honesdale, March 1, 2017)…Honesdale Roots & Rhythm Music & Arts Festival, the region’s premier free music and arts event, will take place June 17th, the third Saturday in June 2017. The Board of Directors for the festival is proud to announce that this year’s event will include both new entertainment and some of the popular activities of the last few years, including tethered hot air balloon rides courtesy of ReMax Wayne. The event kicks off on Main Street at 10:30 am with local bands playing downtown, then moves to the Main Stage around 1 pm with nationally renowned Americana blues-jazz-and-rock bands. The festival’s Artists’ Row is also looking for new artists this year. Artists’ Row traditionally hosts about 20 artists and artisans chosen by the Roots Arts Committee who display everything from sculptures and paintings to handcrafted jewelry and clothing. Artists who wish to participate can download the Registration Form on honesdalerootsandrhythm.com or call the Greater Honesdale Partnership at (570) 253-5492 for information. 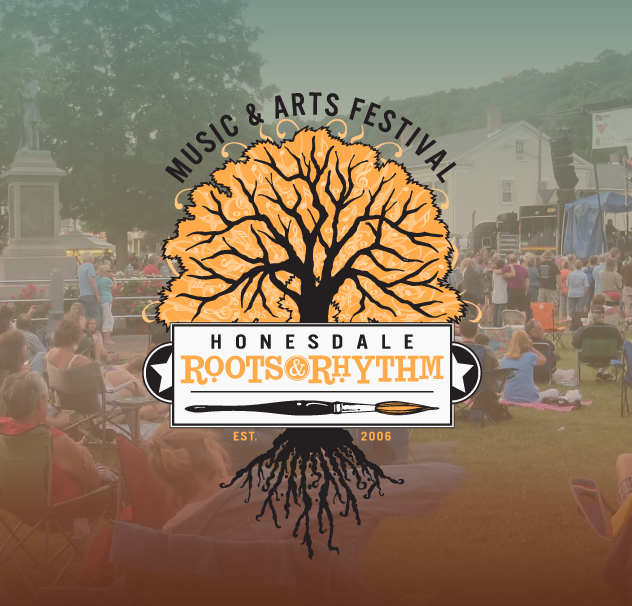 Honesdale Roots & Rhythm, launched in 2006, attracts up to 6,000 people to Honesdale each year. Its offerings include family entertainment, for example, games for youngsters and surprise events such as a “flash mob.” It’s supported by donations and sponsors and produced by an all-volunteer staff. The Sustainability Team has won annual awards for conservation for more than nine years. If you would like to join the volunteer team, email Ryan at ryan.festivaltown@gmail.com. The lineup for the Main Stage this year will be announced soon. The Music Committee is close to clinching the top acts for 2017, so stay tuned! Visit honesdalerootsandrhythm.com.